The clocks have gone forward, buds are breaking open everywhere and, yes, the weeds are growing again – it must be Spring! With temperatures rising in March and the rain holding off for reasonable periods of time, Jo and I have been able to get down to Plot #59 and get stuck in to some of the main jobs of the season. 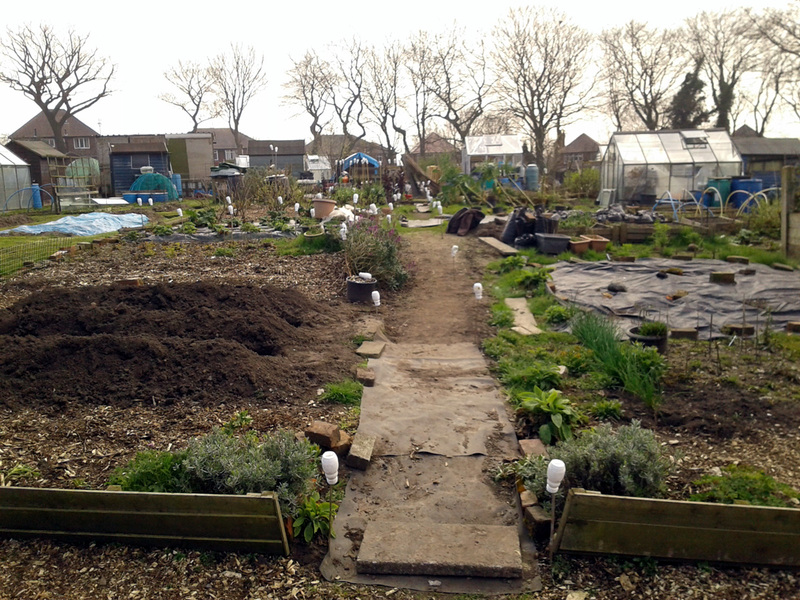 Digging, weeding and clearing away winter’s detritus for starters. But also a few more interesting, positive, forward-looking highlights. 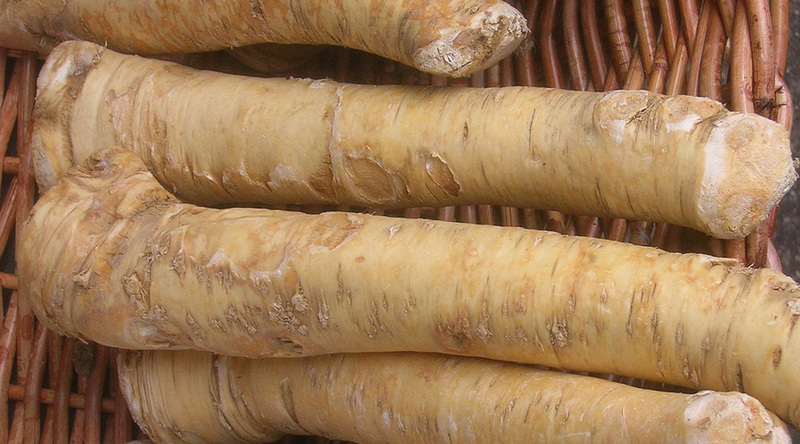 The sort of jobs that gardeners and allotmenteers everywhere look forward to, because they mean the new growing season is finally getting under way. 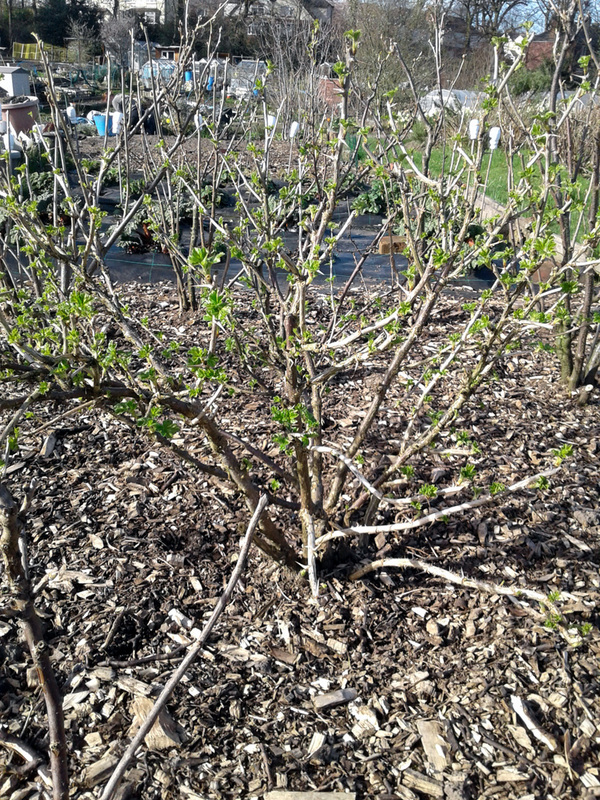 Signs of greenery amongst the fruit bushes – a sure sign of Spring! The soft fruit section is starting to leaf up nicely. 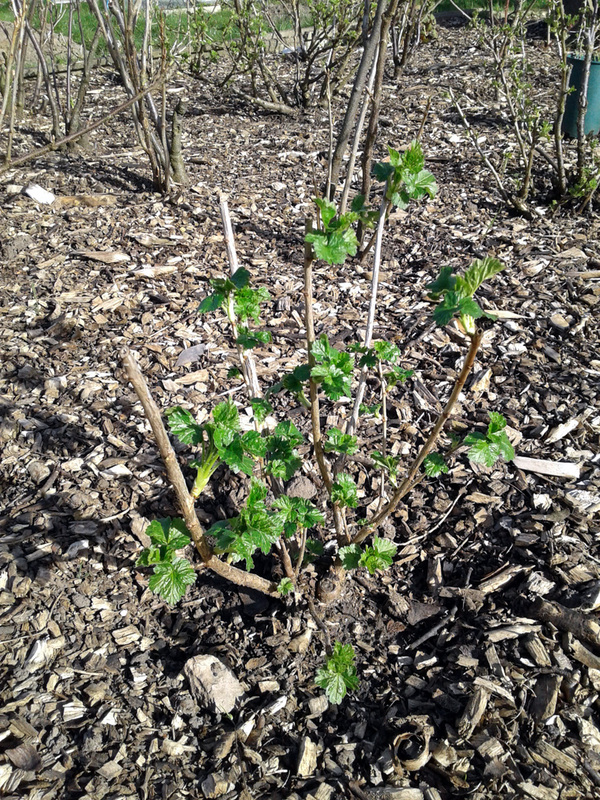 There’s even signs of early blossom on the gooseberry and redcurrant bushes – hopefully not too prematurely. 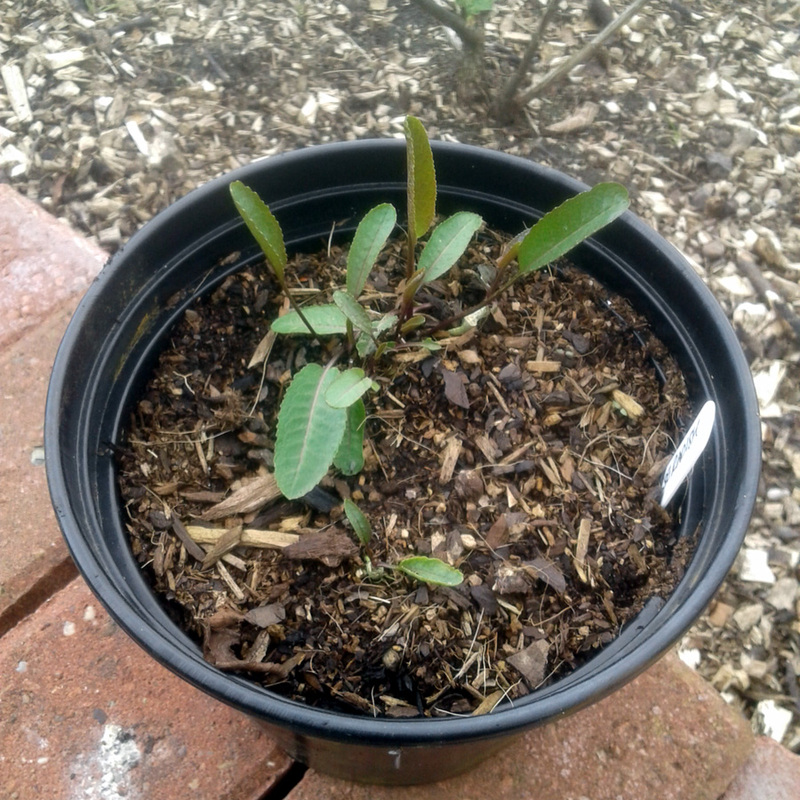 The jostaberries that we planted earlier in the year are leafing up nicely. This jostaberry was planted out earlier in the year and it seems to be doing well, which is good to see. 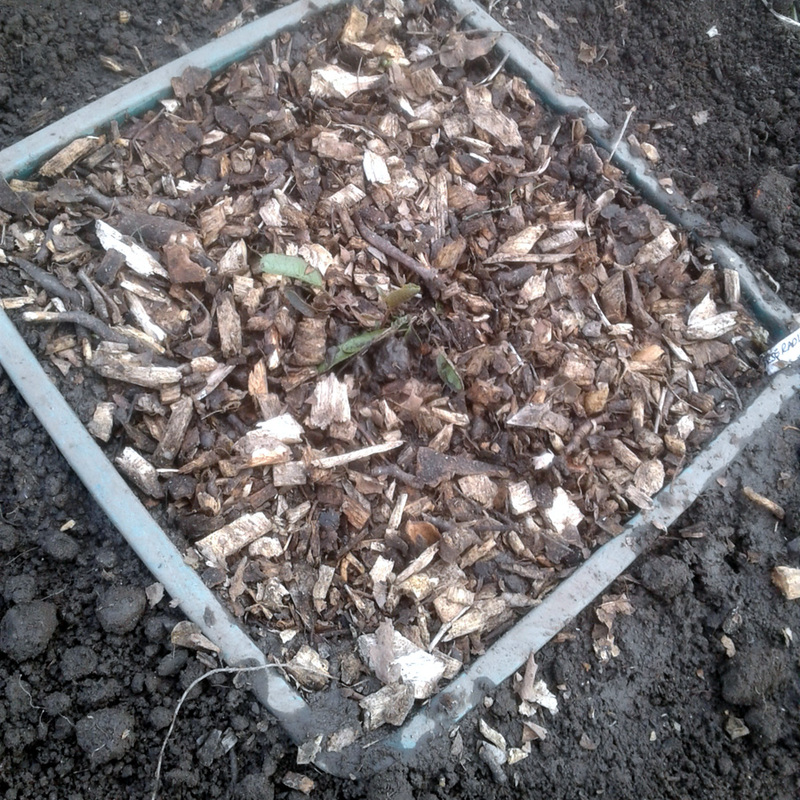 In order to give the bushes a boost, I scraped back the woodchip mulch from around each plant and sprinkled on a handful of fish, blood and bone. That ought to give them a feed just as they’re waking up for the season and hopefully improve fruit yield later on. These ‘Aquadulce Claudia’ broad beans weathered the winter storms rather well. 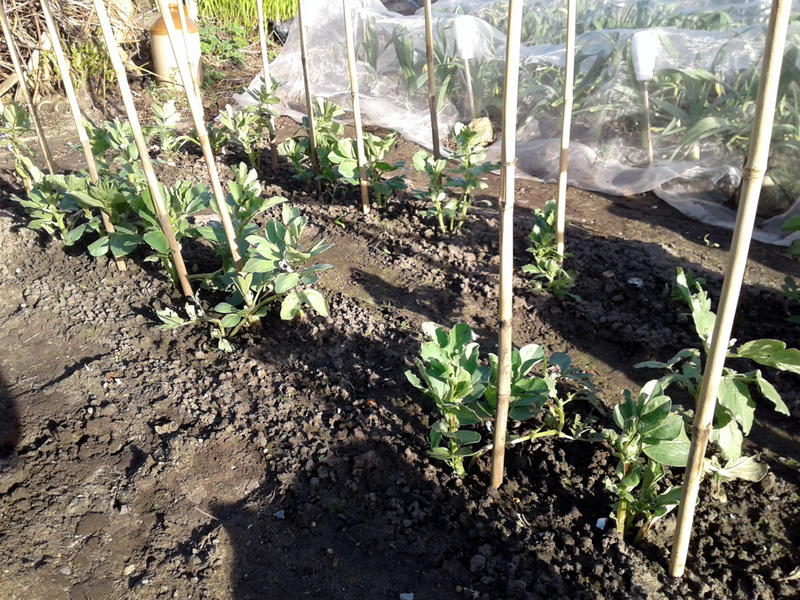 Last November we planted out a couple of rows of broad bean ‘Aquadulce Claudia’ and tented them with enviromesh. They seem to have survived and thrived, with only one or two losses, and many of them are already putting out flowers. 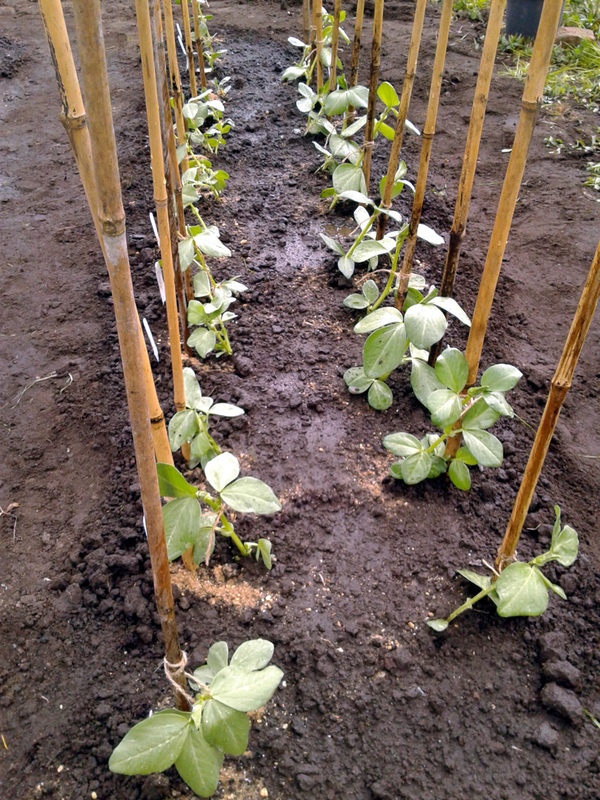 Hopefully we’ll have an early crop of tasty beans to enjoy in a few weeks. 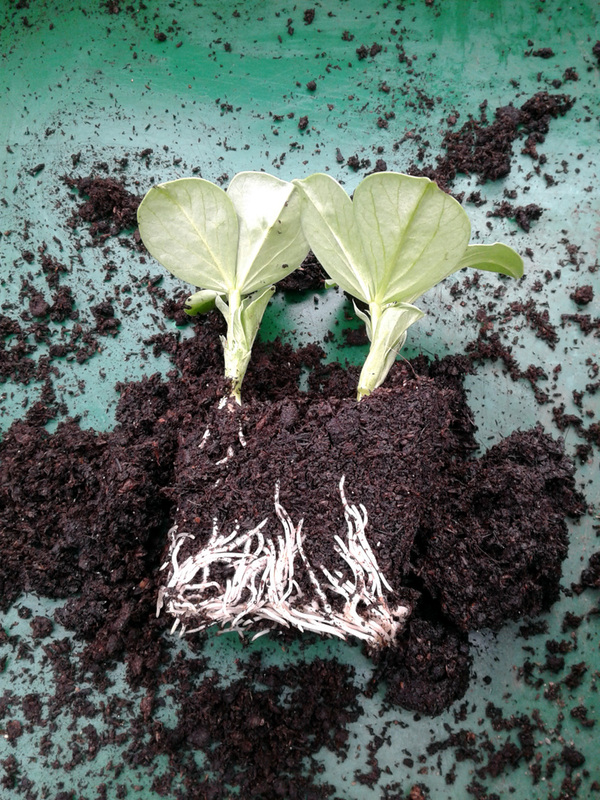 Lovely strong roots on these broad bean plantlets. And back in the greenhouse, this year’s Spring crop is coming along nicely. I’ve potted up a couple of varieties that have been growing strongly. More ‘Aquadulce Claudia’ and a cultivar called ‘Stereo’, which is meant to be a mangetout bean. Interesting, no? 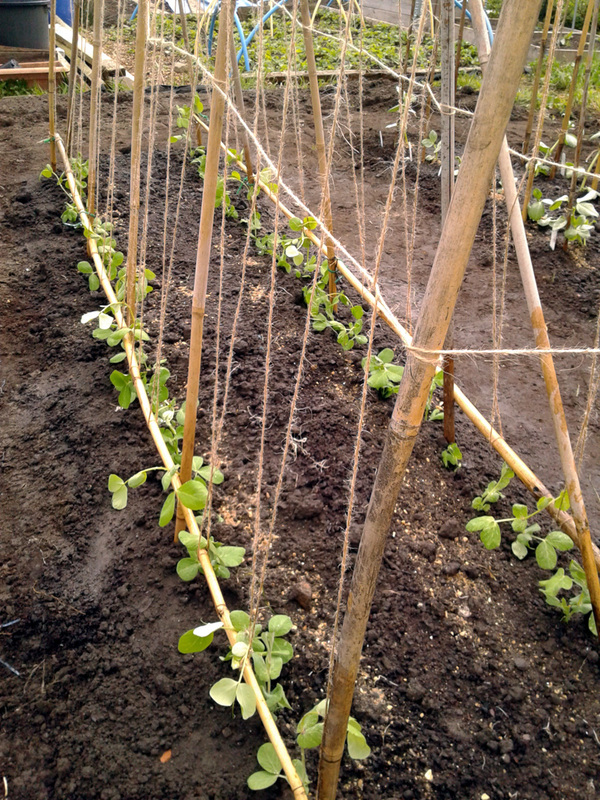 Just the three rows of potatoes this year – here’s hoping for a blight-free one. We’re only growing one variety of potato this year – good old, reliable, all-rounder Saxon – and only three rows of them. About 24 plants’ worth, all being well and if blight and/or leaf-curl virus stays away this year. Digging the trenches is one of my favourite jobs of the early Spring. I’ve remembered to allow plenty of space between them this year, and have manured them well. 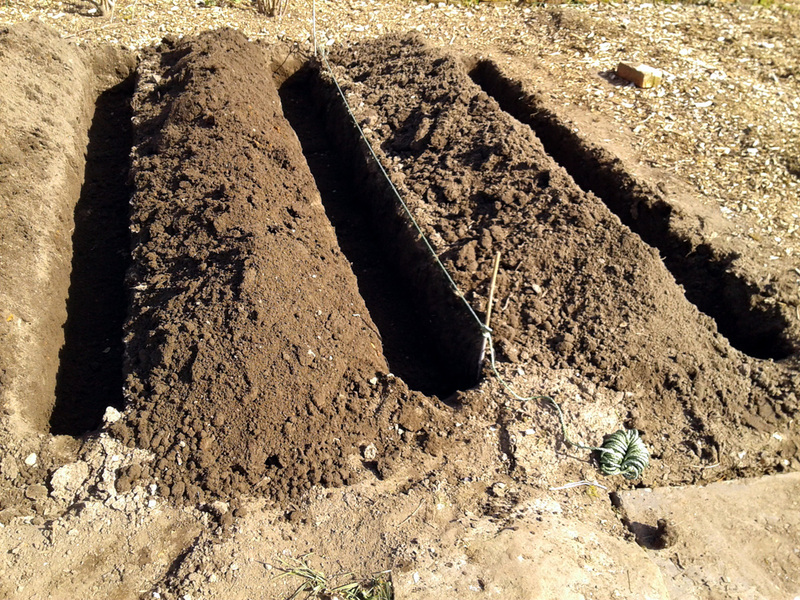 Two rows are in already, and I’m saving the third for a week or two, in a vague attempt to spread the harvest. I suspect everything will catch up once the weather warms up and I’ll end up harvesting them all at once, as usual, but we’ll see. 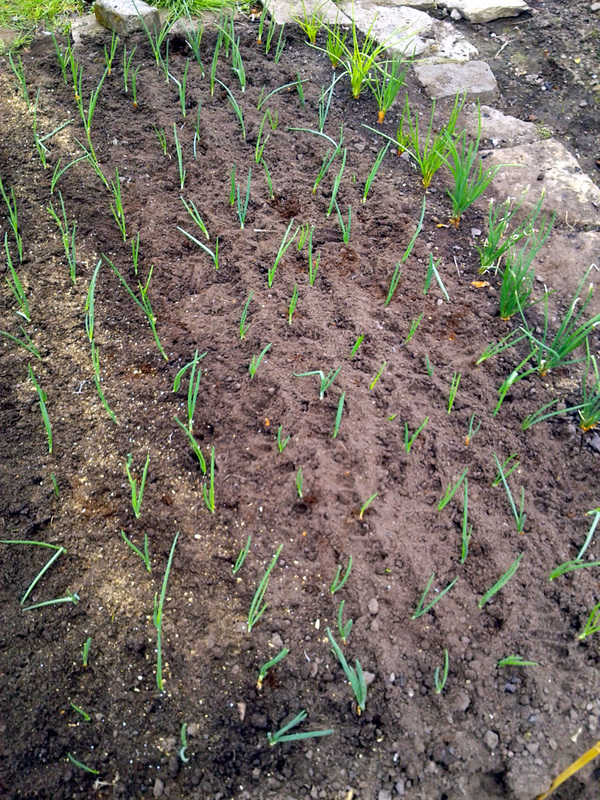 Jo did a cracking job of getting these onions in the ground. We planted out garlic last Autumn and we’re still harvesting last year’s leeks, but we didn’t try to over-winter any onions this year. 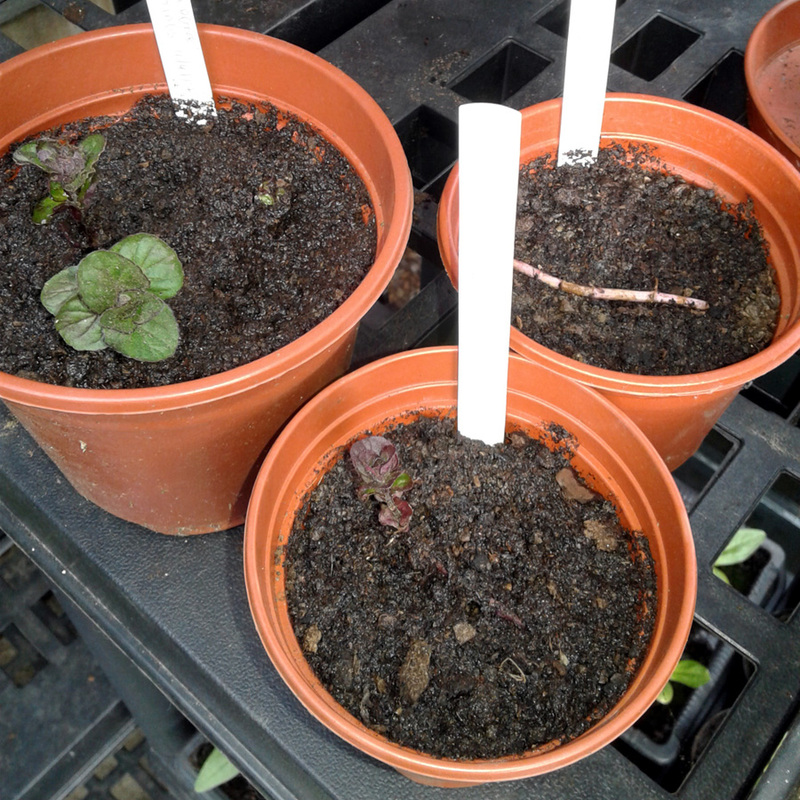 Instead we’ve gone down the route of starting sets off in modules, and as they’d mostly reached the 10-15cm leaf length stage it was time to get them in the ground. Jo took charge of the operation last weekend and did a much neater job of it than I probably would have done, too. This year I’m trialling two soil improvement products on behalf of the folks at SoilFixer.co.uk. 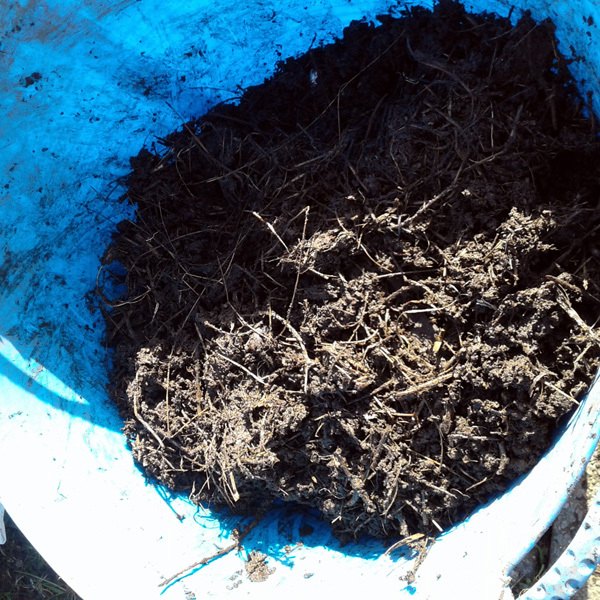 The first, a Compost Humification Agent, was added to a bagful of compostable material back in December. A second bag of compostables was set aside at the same time, to act as a control. Reasonable decomposition, as it happens. Except for the tough grass stems. Similar decomposition, perhaps a little darker in colour..? Hard to tell. Hard to tell at this stage whether the addition of the C.H.A. has significantly accelerated the decomposition process, but the second sample did seem a little darker in colour. But of course, the proof will be in whether or not the trial crops actually perform better in C.H.A. 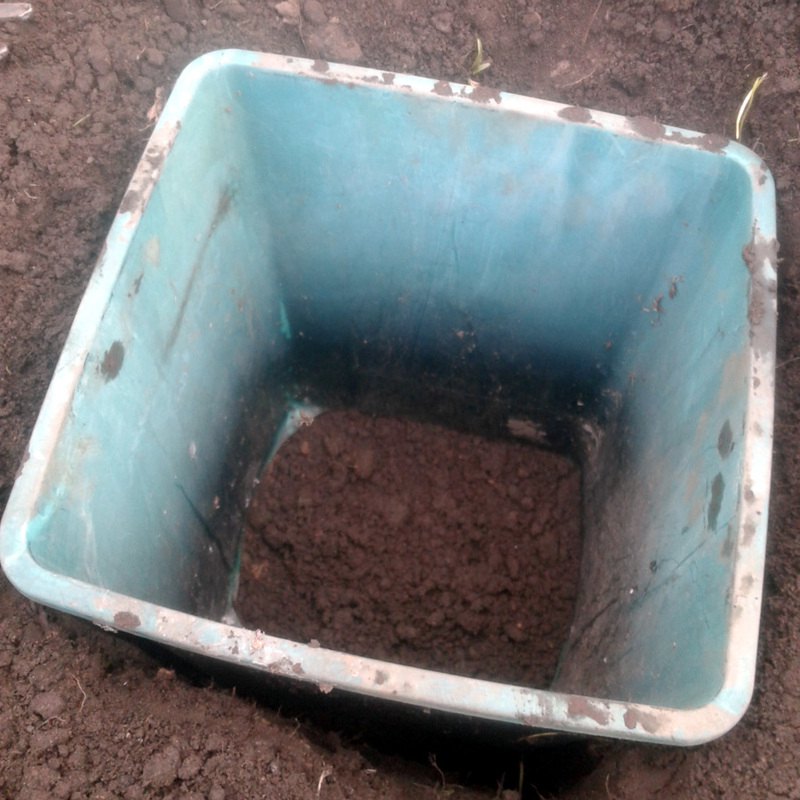 compost enhanced soil. 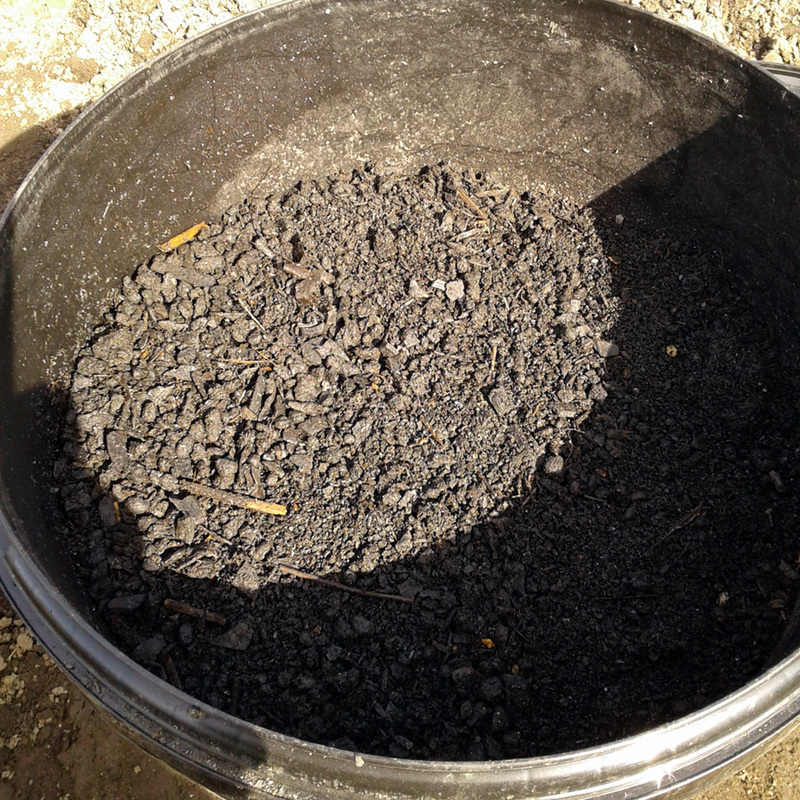 Each sample was churned around, to get some air into the organic matter, before being re-bagged. I removed a couple of handfuls of tough, grassy stems from each sample. 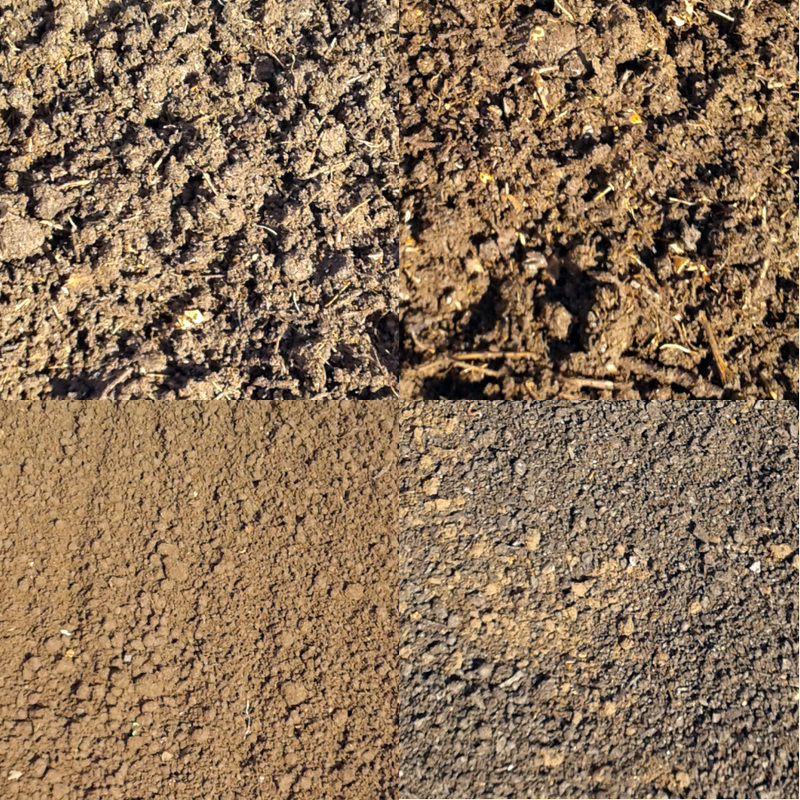 The stuff didn’t seem to have broken down at all – some shoots were even showing signs of re-sprouting – and it’s not the sort of material I want to add to the trial beds in due course. 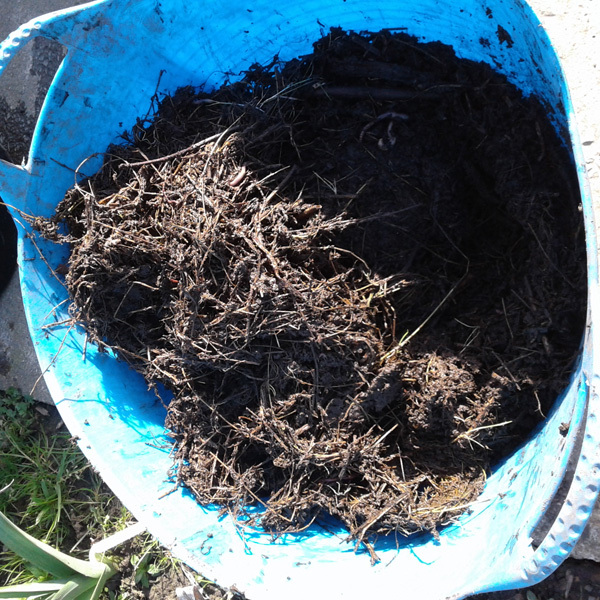 I then added a few scoopfuls of home compost from our recently-emptied bin and added more C.H.A. to the relevant mix. Each bag will be re-aired and re-mixed a couple of times over the next week or two. 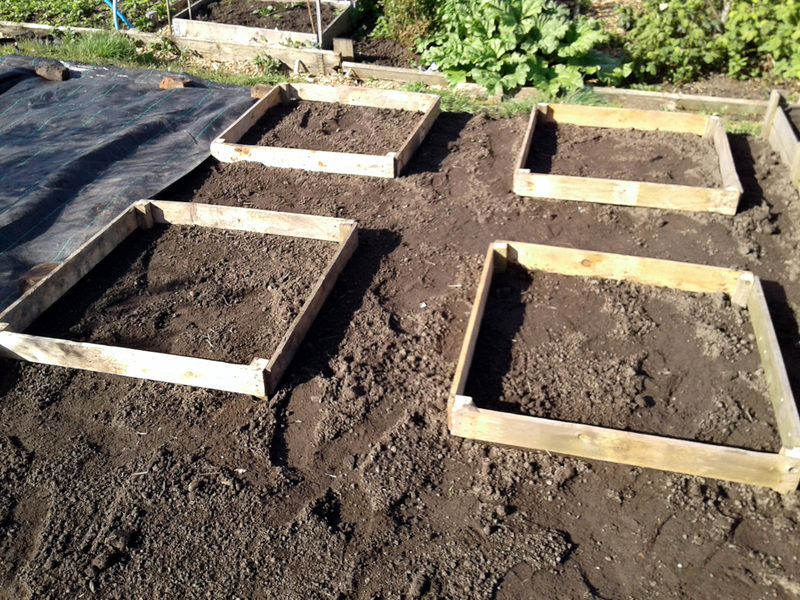 Ten, before too long, it will be time to start the trial proper by setting up the four trial beds, adding the appropriate amendments (or not) to each, and planting out some of the seedlings that are already coming along in the greenhouse. I’ll tell you what crops I’m planning to grow in the next Trial update.